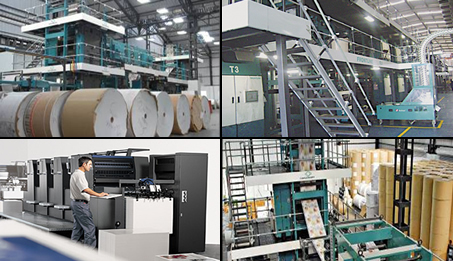 Sakal Commercial Printing Division has set up the state of the art infrastructure to cater to requirements from all of Sakal Media and third party customers. This infrastructure not only deploys the latest technology, but is also spread geographically across entire state of Maharashtra giving all the customer’s a quick access to its facilities within a short distance. Being one of the largest media houses, Sakal Commercial Printing Division also enjoys greater scalability to undertake very large projects too. Sakal is equipped with the latest technology and equipment to ensure better quality and faster turnaround of projects. Color Management system - Computer to Plate output system in Prepress - Offset printing and wide range of finishing and binding equipment in the post press dept. Sakal has a entire range of facilities to ensure your job is done smoothly and on the time. All our offices are facilitated with private leased network & adequate Internet bandwidth to cater our domestic & international business needs.